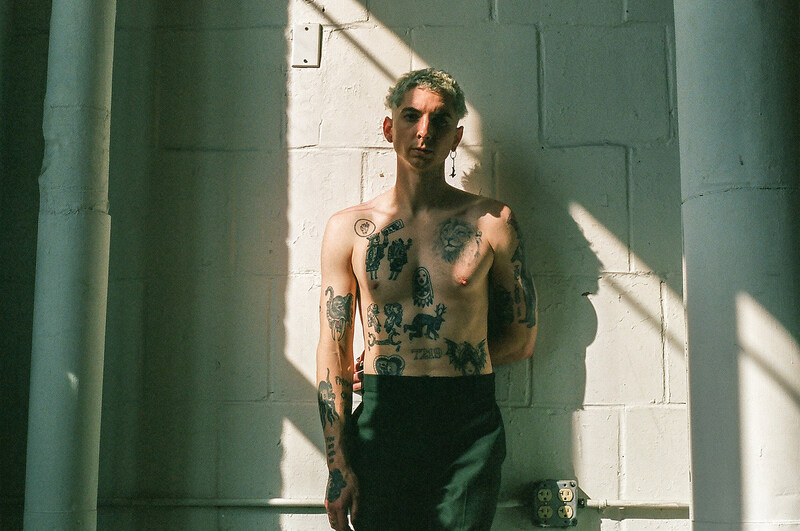 Trevor Powers (fka Youth Lagoon) channelled all kinds of interesting sounds on this year’s great Mulberry Violence, which you might assume means he’s been listening to all kinds of interesting music, and that is indeed the case. We asked him what songs he’s been listening to on tour, and he made a list that includes experimental composers Laurie Spiegel and Pamela Z, ambient pioneers Harold Budd and Tangerine Dream, grime vet Dizzee Rascal, vocal-jazz legend Billie Holiday, electronic musician Rezzett, and more popular but still unique and forward-thinking artists like Kate Bush, Nine Inch Nails, and Tom Waits. Check out his list, with commentary for each pick, below. Trevor’s tour just hit Omaha last night (10/9), takes tonight (10/10) off, and resumes in Minneapolis on Thursday (10/11). He’ll make his way to Brooklyn for a show on October 17 at National Sawdust with opener Cormac Roth (tickets). All dates are listed below. First off, she is the queen. This song has such a transportive quality to it.. .there’s something about it that feels like it has one foot in another dimension and one foot in ours. That’s what I identify with most. This song is from her album ‘Lady In Satin’ which was her last released album in her lifetime. You can actually hear her spirit slipping away from her body on the recordings, but there is so much power in that voice it’s like she’s whispering in your ear telling you she will live forever. I believe her every time. Music to fight the endless prairies and millions of gas stations that all look the same.. Shakes up the monotony. Thank you, Rezzett. Reznor and Co. have created some of the most wonderful apocalyptic anthems ever made, and this is one of them. There’s something seemingly alien about what you see when you drive for hours on end, and this one suites that well. My favorite thing about NIN is the intense juxtaposition between harshness and beauty. My favorite music is the kind that hypnotizes as much as it inspires. Spiegel is a hero of mine because of just that. The way she incorporates technology to help tell such a human story has been a spark in my soul. The percussion on the entirety of ‘Rain Dogs’ blows me away, but there’s something uniquely special about this one. Sounds so sinister but so inviting. Listening to this song in the van makes you feel more like you’re sailing than driving. I always envision some kind of battle when I listen to this, or more like the aftermath of a battle.. all these battered knights sprawled out on a field, wondering if they will ever see their families again as blood drips down their armor and their horses ride away without them — leaving them stranded and dying alone. There is so much of a ritual that goes into touring, and this song fits into that just right. It sounds like a ceremony inside the mind. The human voice alone is the strongest instrument and no one demonstrates this more than Pamela Z.
I’ve listened to ‘The Pavilion of Dreams’ so many times at home that this one brings with it some comfort. Auditory pillow. I love the spaciousness and minimalism within Budd’s compositions. There’s just enough there to tickle the brain while still leaving plenty unsaid to make me want more.